Emsculpt® – Call for your free consultation and trial +8337209908 – Limited time offer! Dr. Copeland is one of the first plastic surgeons to offer EMSCULPT – the only procedure to help both women and men build muscle and sculpt their body. In addition, the EMSCULPT creates the world’s first non-invasive buttock toning procedure. Current non-invasive body shaping therapies address fat and skin. But what happens when one has less than an inch of pinchable fat, or wants to improve the tone and shape of one’s stomach or buttocks? After all, more than a third of one’s body is comprised of muscles. Patient in 50’s – after 4 Emsculpt treatments. *Results may vary and specific results are not guaranteed. See more Before and After pictures. Call today to set up a consultation and find out how EMSCULPT, in combination with other body-sculpting options like CoolSculpting, can be customized for your aesthetic objectives. Am I A Candidate? Anyone can benefit from the EMSCULPT procedure. What Does It Feel Like? 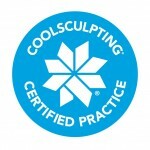 The EMSCULPT procedure feels like an intensive workout. Is There Any Downtime? The EMSCULPT is non-invasive and requires no recovery time or any pre/post treatment preparation. How Fast Will I See Results? Positive results are usually reported two to four weeks after the last session. Call 8337209908 or email us: Cancellation Policy: 24 hours notice required or appointments will be forfeited. Trial demonstration of Emsculpt device is up to five minutes included in consultation.